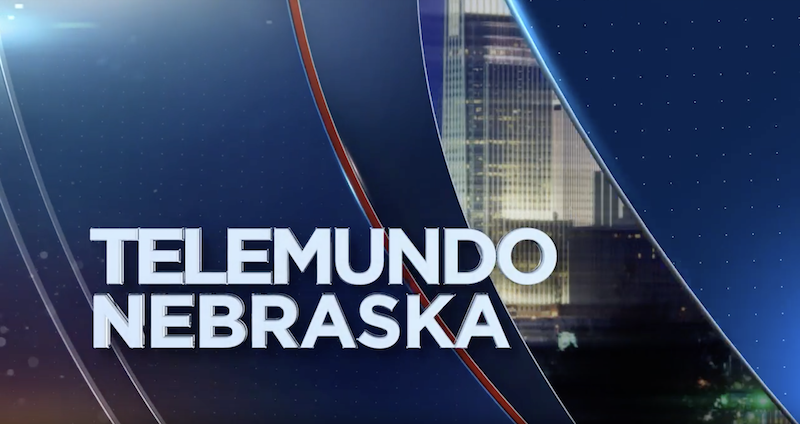 Telemundo Nebraska is the state’s first network affiliate delivering local Spanish news. It delivers live, local news to Nebraska’s 250,000 Hispanic residents. 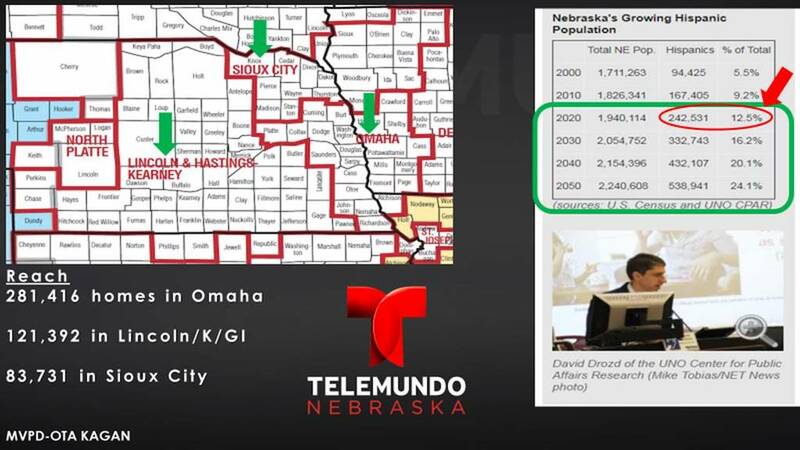 It offers daily newscasts at 5 p.m. and 10 p.m. Telemundo Nebraska provides focused and relevant programming. It focuses on topics that matter to its audience: education, health issues, Hispanic business news, government and politics. It provides an essential service to our state: It delivers vital information to a segment of the population that speaks Spanish as its first language. 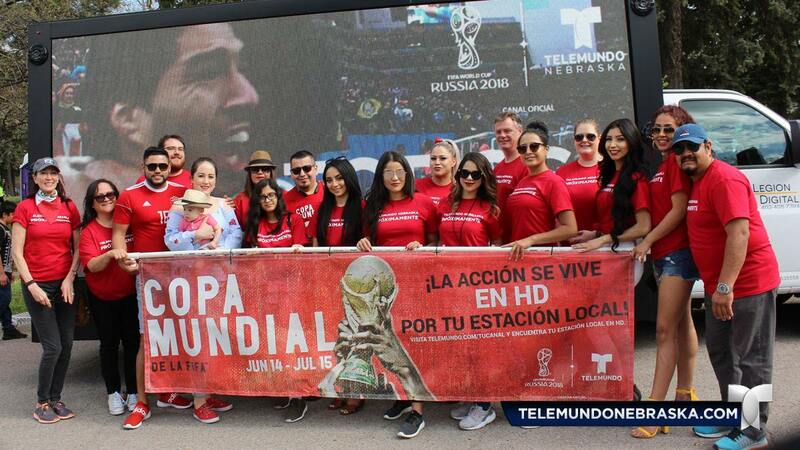 Follow on Twitter @TelemundoNE and on Facebook /TelemundoNebraska. 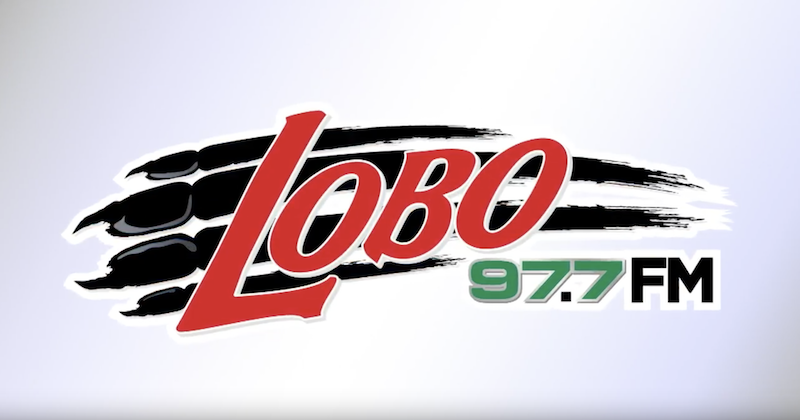 Radio Lobo (97.7 FM) was the regions first Spanish radio station; it’s 100,000 watt signal reaches the majority of Latinos in Nebraska and Iowa. Listeners enjoy Mexican music and local news, with a strong community focus. Annual Toy Drive for Latino children during the Christmas season. Radio Lobo also provides the region’s only weekly, live and interactive talk show, “Community Connection.” It invites local, non-profit organizations to educate listeners about services that are available to the Latino community. Follow on Twitter @RadioLobo977 and on Facebook /RadioLobo97.7.